Simeon Panda is an English professional bodybuilder, who currently competes in Muscle Mania. Simeon has been lifting weights since he was 11 years old, and his transformation over the years is incredible. Right now, Panda is one of the most popular figures in bodybuilding; with millions of followers on social media. Within this article, we’ll discuss Simeon Panda’s workout routine and diet, as well as the different supplements he takes. Within Simeon’s routines, he normally focuses on incorporating just 4 exercises. Yet he hits each exercise for a total of 8 sets. Panda has a 5 day split routine, with his rest days taking place on the weekends. When it comes to diet, Simeon has a strict and clean diet; which allows him to stay lean all year round, with a body-fat percentage of 5%. But we’ll talk about that more later on in the article. Simeon Panda’s workout routines normally consist of just 4 exercises; which is maybe unusual for a regular bodybuilder. 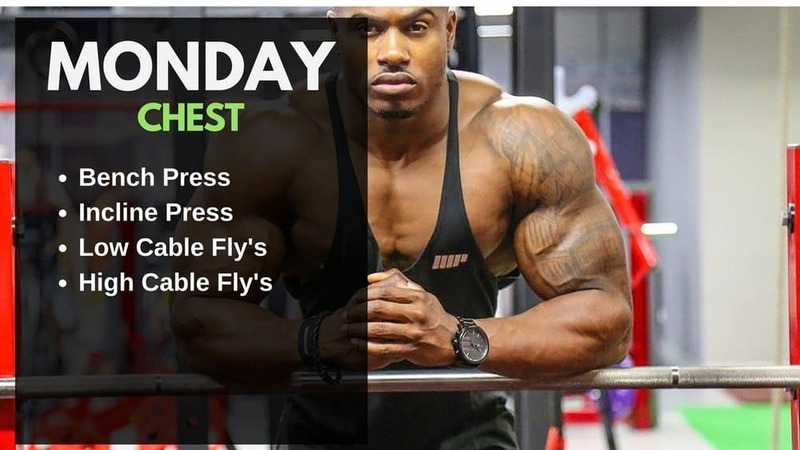 If you look at the routines below, he focuses on hitting 8 sets of each exercise. The only day that bucks the trend is leg day, where he adds extra exercises to incorporate calves within the routine. Once again, Monday is ‘National Chest Day’, and Simeon Panda follows the trend. Within this workout routine, Simeon performs just four exercises, but for a total of 8 sets each. On Tuesday, Simeon Panda targets legs, focusing primarily on push and pull exercises. Ie. Presses, curls, extensions. There are 6 different exercises within Simeon Panda’s leg workout routine. 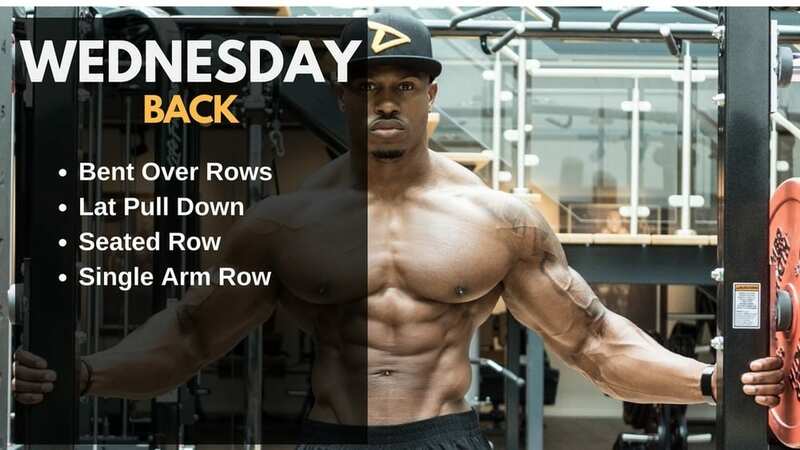 On Wednesday, Simeon Panda performs a back workout routine, focusing on 4 major exercises. The 1st set of the exercise is normally performed to around 20 reps, and gradually gets lowered to 6 reps on the last set. On Thursday, Simeon Panda hits a shoulder routine for 4 exercises which target each part of the muscle group. Each exercise is performed for 8 sets, beginning with 20 reps on the first set, and dropping gradually to 6 reps on the last. 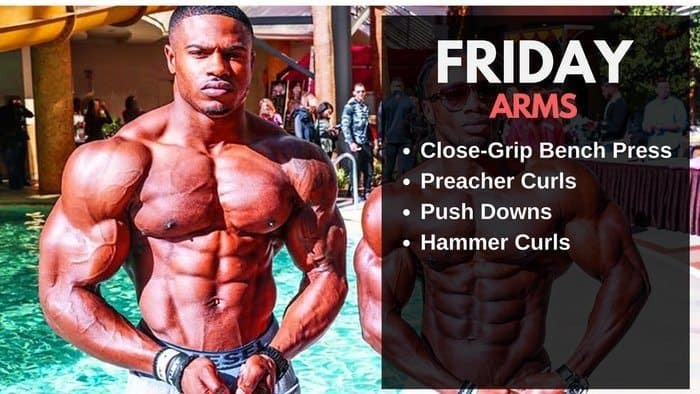 On Friday, Simeon Panda performs an arm routine, again with 4 exercises, as per usual. These exercises alternate between focusing on the biceps and the triceps. For example, his first exercise hits the triceps; his 2nd the biceps, and this is repeated. Both Saturday and Sunday are Panda’s rest days. Time to relax, let your body recover, eat well, and get ready to hit it again on Monday. Now that we’ve covered Simeon Panda’s workout routine, let’s move onto his diet. As I mentioned above, Simeon stays lean all year round, and he’s not a big fan of the old school bulking and cutting methods. So, given that this is the case, let’s take a look at Simeon Panda’s diet, and the supplements he takes daily to help get the most out of his workouts. Unfortunately, there’s not a lot of info available on portion sizes, which is annoying. However, hopefully, this gives you a little bit of enlightenment to the foods Simeon consumes regularly. 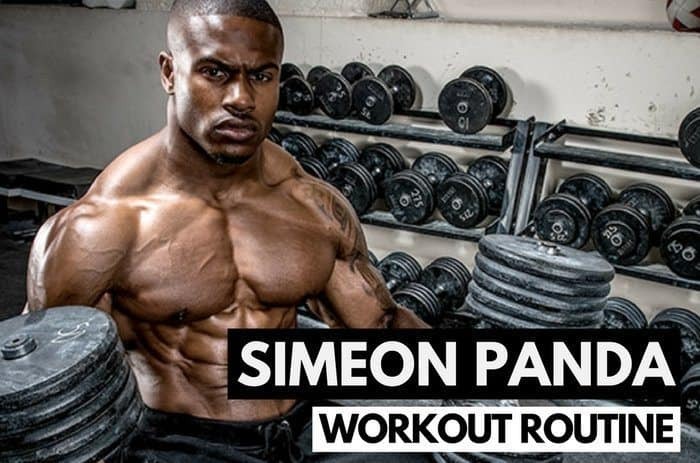 Simeon Panda is one of the most popular individuals in bodybuilding, and hopefully, this article gives you a little more insight into Simeon Panda’s workout routine and diet. What do you think about Simeon Panda’s workout routine and diet? Leave a comment below.